Penn State’s Dickinson Law is committed to producing profession-ready lawyers equipped with the doctrinal knowledge, practical skills, and extralegal competencies necessary to excel in an increasingly global legal market. The hallmarks of a Dickinson Law education are an innovative curriculum that, from the very first day of law school, relies heavily on experiential learning to prepare our students to practice law, and a welcoming and supportive community. Founded in Carlisle, Pennsylvania, in 1834, Dickinson Law is the oldest law school in Pennsylvania and the fifth oldest in the country. Over the past 182 years, Dickinson Law graduates have included the nation’s most distinguished attorneys, judges, government and corporate leaders, and legal educators. 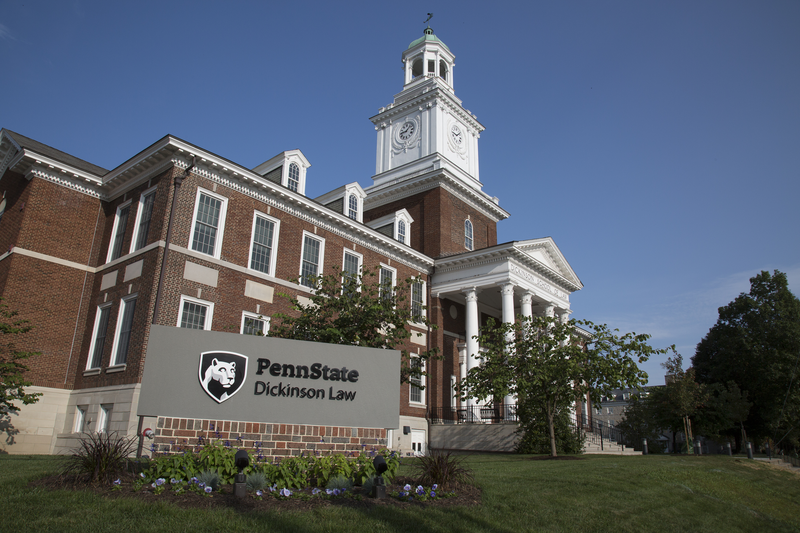 Our 1997 merger with Penn State expanded our reputation, network, and joint-degree programs—complementing Dickinson Law’s legacy as an innovative leader in experiential education. To ensure that we can provide hands-on training for our students, Dickinson Law has capped each LL.M. cohort at 20 students. This intentionally small class size ensures that students receive focused attention from faculty, guarantees ample opportunities to learn in practice settings, and fulfills the law school’s promise to best position its students to secure employment in a competitive marketplace. 1. To vest in our students the entire range of concrete lawyering skills necessary to most effectively perform as legal professionals at the local, state, national, transnational, and international levels in the twenty-first century. 2. To engage in a constant quest for knowledge and wisdom that we share not only with our students but also with legal professionals, scholars, policymakers, and others, consistent with Penn State’s role as a world-class research university. 3. 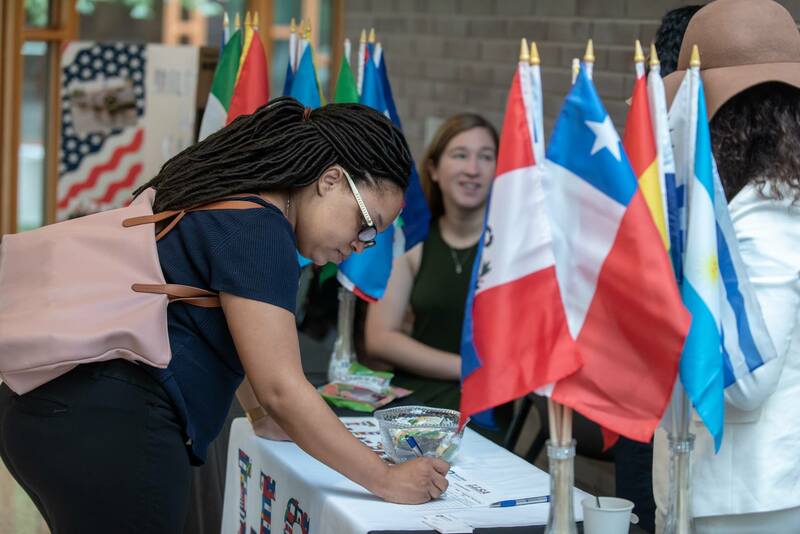 To willingly contribute our services to the university and to local, state, national, and international efforts to improve global understanding, the lives and well-being of our students, and the world in which they will live. 4. To strive, on a daily basis, to foster a sense of community and mutual support between and among faculty, students, and staff, and in our interactions outside the law school. LL.M. Independent Study and Experiential Learning LL.M. students may take independent study courses for up to 3 credits in any one semester, and no more than a total of 4 credits during the two semesters of the LL.M. program. With the approval of the Associate Dean for Academic Affairs, LL.M. students may enroll in experiential learning courses offered at the law school, including pro bono, clinical and internship programs. LL.M. students may apply to stay for a third semester of legal study with the intent of completing an experiential learning program or preparing for a U.S. bar exam. Internships Because Dickinson Law school is located less than 20 miles from the state capital and less than two hours from Washington, DC, our students have the opportunity to intern with national law firms; government agencies on the local, state, and federal levels; private corporations; and nonprofit organizations—and in doing so, to gain a sense of urban, suburban, and rural legal communities. Faculty Dickinson Law students learn from a distinctive and dedicated full-time faculty complemented by an adjunct faculty of practicing attorneys and judges. Significantly, all full-time faculty members have spent years practicing law, and they continue to engage nationally and internationally with the legal profession through pro bono litigation, mediation, advisory committees, and scholarship. The faculty believes that their scholarly and teaching missions should be complementary. As engaged scholars, they accept that having a solid understanding of theory is indispensable to our students’ ability to operate as legal professionals in an increasingly global, diverse, and sophisticated legal environment. The faculty is wholly committed to community and to supporting the success of our students. Long before it became in vogue, the faculty embraced an open-door policy that encouraged students to stop by faculty offices without a scheduled appointment. Public Interest and Pro Bono The Rules of Professional Conduct oblige every lawyer, regardless of the area of his or her practice, to provide legal services to the underrepresented. Dickinson Law endorses this requirement and believes that helping the underprivileged is one of the most rewarding parts of a lawyer’s job. The Law School’s Miller Center Pro Bono Program ensures that students have opportunities to engage in pro bono public interest work as early as their first semester. Dickinson Law awards fellowship funding for summer public interest work, and the school’s Bridge Fellowship and Loan Repayment Assistance Program help students to pursue full-time public interest work upon graduation. Moreover, Dickinson Law’s core courses integrate diverse perspectives and examine the relevance of diversity to law, the legal process, and practice. Through the Law School’s curricular offerings and its extracurricular activities, Dickinson Law students are able to develop cultural competencies and better understand minority viewpoints. Alumni Network Not only will you become part of this long and proud legacy of Dickinson Law graduates, but you will also become a member of the Penn State alumni network of more than 700,000—the largest active, dues-paying alumni network in the world. Dickinson Law has LL.M. alumni working all over the world. Facilities Dickinson Law’s completely renovated historic home in Carlisle, Pennsylvania, has been intentionally designed to further the Law School’s commitment to community. This LEED-certified facility features state-of-the-art classrooms and seminar rooms; a signature moot courtroom with a 200-seat observatory; a legislative hearing room; the three-story H. Laddie Montague, Jr. Law Library; group-study rooms; the Ridge Commons; a courtyard; and a café. All classrooms are equipped with sophisticated audiovisual technology that allows students and professors to communicate in real time with colleagues and professionals around the world. Career Services To help students negotiate today’s challenging job market, Dickinson Law offers a number of resources that go above and beyond traditional career services. The extensive networks of loyal alumni from both Penn State and Dickinson Law are committed to helping our students succeed in their desired professions. Dickinson Law graduates enjoy rewarding careers in varied areas of law practice, as well as in business and industry, government, and academia. Financial Aid and Scholarships A limited number of merit-based scholarships are available for high-achieving LL.M. candidates. LL.M. program tuition, fees, and estimated expenses are listed on the Dickinson Law website. LL.M. Admissions The LL.M. Admissions Committee at Penn State’s Dickinson Law reviews completed applications on an ongoing basis. Although the Admissions Committee attempts to notify applicants whose files are incomplete, it is ultimately the applicant's responsibility to ensure timely completion of his or her application. While most students seek to enroll in the fall semester (August), Penn State’s Dickinson Law offers the option of beginning the LL.M. program in the spring semester (January). Decisions regarding financial aid and scholarships for Penn State’s Dickinson Law LL.M. program are released on a rolling basis, and follow notification of admission to the LL.M. program. Our LL.M. cohort is kept intentionally small with no more than 20 students to foster greater interaction with J.D. students and law school faculty, as well as judges and lawyers in the Harrisburg and Washington, D.C. areas. Penn State University is consistently ranked among the top research and teaching institutions in the world. Come study with us at Penn State’s Dickinson Law! To learn more about the LL.M. Program at Penn State Dickinson Law, contact the International Programs Coordinator, Sarah Guillén.